While students head back to class and the working world heads to the office after the long holiday break, today is your last chance to take advantage of Drum Corps International's biggest holiday sale ever. 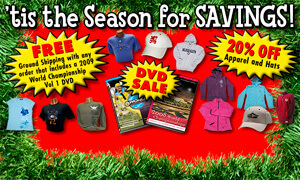 From incredible deals on our World Championship DVD collections to 20 percent off apparel, take this final opportunity to stock up on the items that may not have made it underneath your tree this holiday season. Visit store.DCI.org for more and to shop today.